Surround yourself with marine life in a breathtaking walk through the glass tunnels of the Lost Chambers at Atlantis Aquarium, The Palm. Sharks, rays, piranhas, lobsters and smaller seahorses are just some of the creatures you’ll encounter in this captivating underwater world. Designed around the theme of the lost city of Atlantis, the underwater tunnels are an immersive experience in a lost civilization of shipwrecks and ruins. You will encounter the most amazing and colorful collection of underwater life in 10 beautiful rooms. There are more than 20 marine life exhibits in this aquarium where you can interact with some of the creatures and even help feed them – guided by animal experts. Whether you want to see or literally be part of the underwater scene, The Lost Chambers Aquarium promises Atlantic adventures for the whole family. Dubai is renowned for its striking constructions and over-the-top designs. 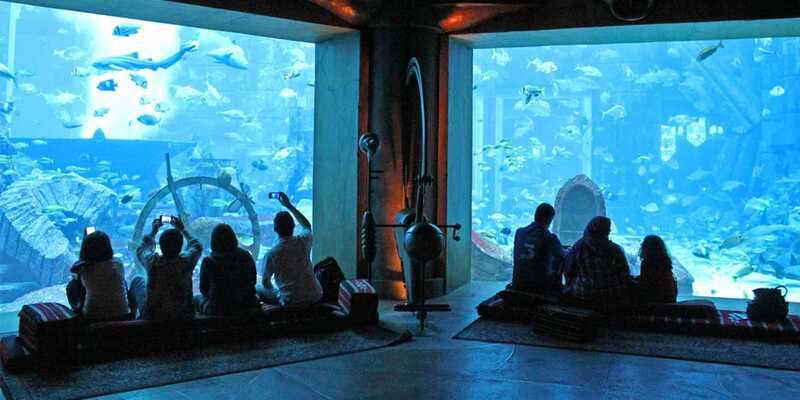 Dubai Aquariums are no different with humongous tanks filled with alluring fish from the oceans around the world. 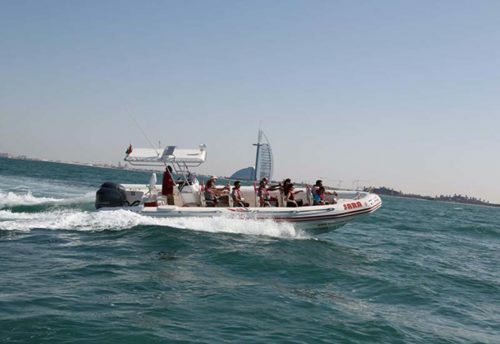 Check out all the wonderful water bodies by taking the next available flights to Dubai. The Lost Chambers is while building the Atlantis, Palm Jumeirah, lost passages dating thousands of years back were discovered below the waters of the Arabian Gulf. 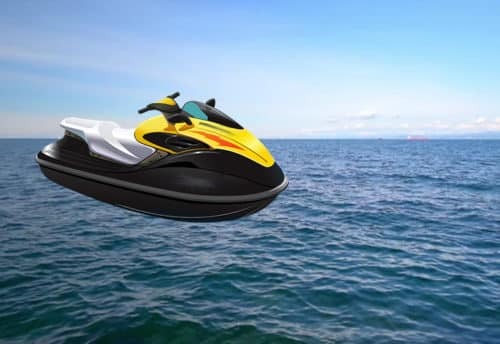 The ancient street system gave way to idea of passageways of The Lost Chambers where one can come face to face with abundant marine life from around the world such as sharks, giant catfish, giant arapaima and many more. Guests have lots of packages to choose from – duo pack of the at skyland tourism & The Lost Chambers for the UAE residents, ray feeding in the shark lagoon, back of the house tours to get an idea of the working of the aquarium, diving into the Ambassador Lagoon and the option to arrange private meeting surrounded by the aquatic chambers. Dubai Aquarium is the largest suspended aquarium at The Dubai Mall, Dubai Aquarium boasts of a 10-million liter tank home to thousands of aquatic animals but more famous for its collection of sharks and rays. 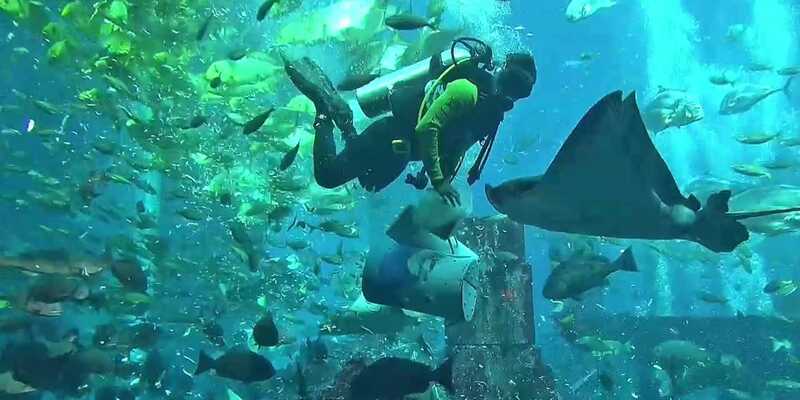 From any level of the mall, glass bottom boat ride or the walk through tunnel, you will be able to view all the sea animals but do look out for largest collection of Sand Tiger Sharks in the world. Also not to forget the spine thrilling Cage Snorkelling Experience and Shark Dive that brings you so close to the ferocious sharks. The state of the art aquarium perfectly recreates the mythical world of Atlantis with Atlantis themed Lagoons & The Lost Chambers. The dramatic effect is even heightened with the more than 65,000 creatures in the Atlantis resort. Well you know what they say about best laid plans and all that. In Dubai Friday and Saturday are the weekend days so I can only imagine that there may have been a mix up in communication from those organising our visit and the weekend staff on duty as they were not expecting us. 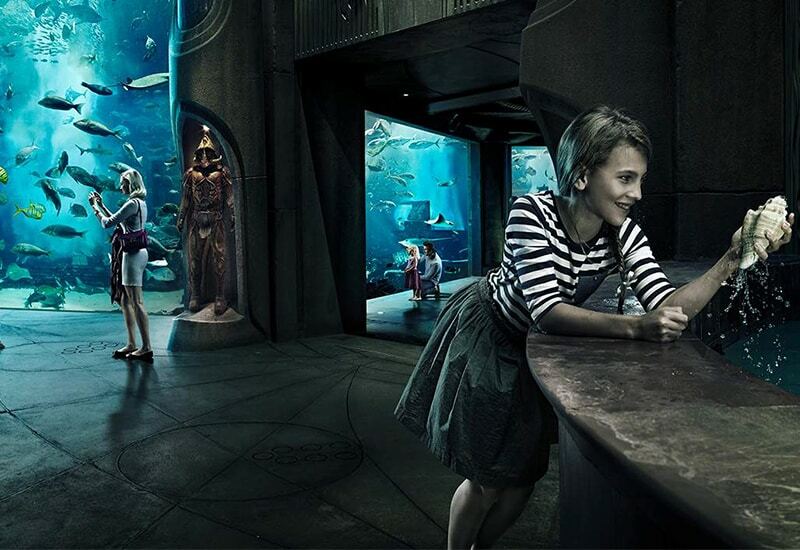 The mythical lost city of Atlantis has been stylishly recreated at the Lost Chambers Aquarium – the largest aquarium in the Middle East, where visitors can view and enjoy more than 65,000 marine animals that reside amongst its sunken ruins which are nowhere around the globe. 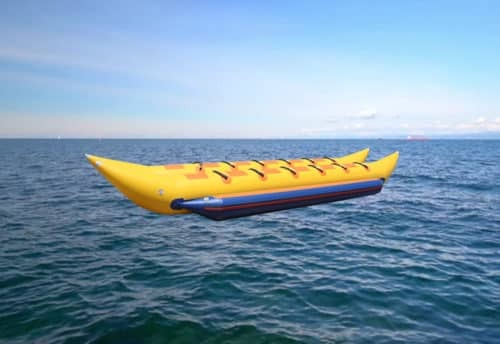 Explore and feel the underwater mazes and tunnels, hear the stories behind the mysterious submerged ruins and learn about the creatures that have made it their home is one among the best experience. There are 10 themed The Lost Chambers teeming with colourful and exotic fish from all over the world at one place, and 2 touch pools – one among them contains baby stingrays and starfish, the other one is home to small crabs and skates. An illuminated tank where jelly fish perform their hypnotic dance, giant catfish in the Seven Sages Chamber, and colour changing cuttlefish in the Abyss Room further add to the mythical ambience which will work as a catalyst for you tour. The Lost Chambers is Atlantis the palm breathtaking indoor aquarium. In Dubai everything is on another level and so is this aquarium. It simply hosts amazingly jaw dropping sea creatures. It also offers a great way to cap off from a super active day on rides/slides.